Another winter behind us, the air is warming up and the snow melting. We are close to one of my favorite times of year – Spring. My other favorite time of year is fall – when the leaves are falling and the breeze is light. A light jacket just to keep the chill off and knowing that the best Holidays are right around the corner. Back to Spring. Right now is the time to be breaking out your Trail Cameras and going over all of the settings and become re-acquainted with your cameras. If you are like me, you have several different types of cameras and they all program just a little bit differently. The time to re-familiarize yourself with them is now, before you get into the field and fumble with them. Make sure the batteries are charged or fresh. Check the straps and Cables or Locking Devices to be sure they will be functional and will not break while installing or leaving them out in the field. I have had many of elk and bear lick my cameras and especially the bears will ultimately take your cameras for at-least a short distance – so make sure they will be secure. This past winter took me into the snowy mountains, looking for good spots to locate my cameras in hopes to catch some elk. Unfortunately I did not put any of my cameras in the elk wintering grounds and so I don’t have much of anything worth posting from this winter. For next winter I do have some great spots picked out and will need to locate my cameras before the snow flies and will be installing large 12 volt batteries with solar chargers to supply power throughout the winter. Don’t Lose your GPS Settings! I received my newest trail camera today – a Moultrie M-880 (Initial review coming soon). When I got home from work today, there it was – sitting in a box on my door step, delivered by Amazon Prime. And what do you do when you get something new? You have to use it! So I decided to head up the mountain, place the camera and check another one that I put out last week. I checked my GPS to make sure I still had my waypoint for the other camera in this area and looked at Google Earth to familiarize myself with the layout of the mountains and headed out. I got out of the house at 4:07 and headed for the mountain (no ATV, just hiking). I told the family that I would be gone about 2 to 2 1/2 hours. Parked the van at the designated spot and turned on the GPS. ALL of my waypoints were gone!! Now, a little background here is in order. 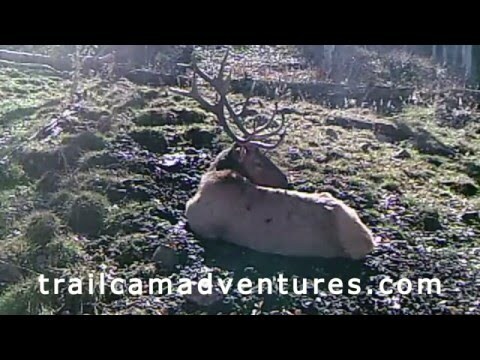 When I placed this trail cam I rode up the mountain on my ATV. Parked the ATV and hiked down into a deep ravine. It was dark when I placed the camera and I hiked out in the dark and had to find the ATV with the GPS. I don’t know how we ever got along without GPS. Also, my GPS is a Garmin E-trex Vista HCX. I have had this thing for about six years now and have NEVER had a problem with it. It has become my friend and saved my tail more than a few times. Last weekend, I backed my Garmin up onto my computer and then reset the GPS to factory because I just wanted to get rid of a lot of junk that I had in there. I figured that was the best way to do it. I hadn’t realized how much I customized the settings on this thing to my liking. Anyway, I restored the tracks and waypoints that I wanted to keep back onto the GPS. Back to today. 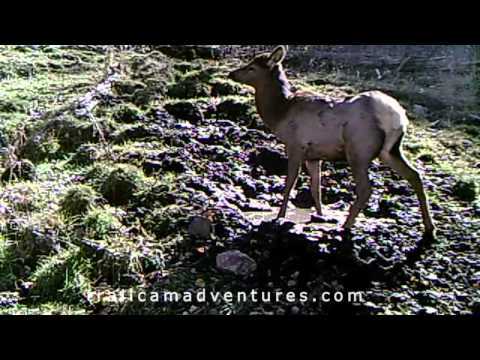 With my waypoints gone, I figured I would be able to hike right up the ravine to where my trail cam was…WRONG!! The last time I went I rode the ATV and this time was hiking and therefore I chose a different route. I started hiking up, and after a good ways up I saw three or four deer on the side of the ravine. Unfortunately no bucks that I could see. A little further up I realized I was in the wrong canyon. So I started to follow a deer trail up the side and thought by chance I might be able to skirt over and drop down into the next canyon. When I got to the ridge I stopped and had some crackers and Vienna Sausage and a bottle of water (not my favorite but it goes a long way when you are out hiking). I dropped down the other side into a small ravine and realized that I need to go over yet another canyon. Eventually, after tripping and stumbling through tons of scrub oak I made it to the top of another ridge. It was starting to get dusk, so I figured I would have to bag it and come back in a day or two. As I was walking down the ridge, I saw a well used game trail and decided to take it since it seemed to be headed toward my trail camera. Back through more scrub oak and I heard some scurrying through the leaves and figured it must have been a deer or two. I finally made it to the bottom of this ravine and after a short time found what appears to be an excellent spot for a trail camera, so I set it up. Since it was already dark by this time I didn’t go through all of the instructions to set up the camera the way I wanted to – with video length of time and the time lapse, so I just used the factory default settings. When I go back again I will make sure I am there earlier and take the time to set it up to my liking. After getting the camera set up, I did a quick hike up the ravine to see if I could find my other camera – but didn’t see it so decided to find it another day since it was starting to get late. By now it’s very dark – pitch black inside the ravine. I figured that I would follow the ravine down the mountain and hopefully might run into my other camera. I then heard some thrashing in front of me and figured it was more deer. I have my head lamp going – not bright but enough to see where I was walking. As I approached to close to where the “deer” had been, I expected to hear them them on the move again but I didn’t hear anything. A few more steps and I saw something just to the left of the trail – white and looked like a garbage bag caught in the trees. As I got closer I realized it to be a Hawk with it’s wings and feathers all spread out and looking magnificent. I was thinking the thing spread its wings out so as to make itself look much bigger to predators. The thing looked pretty vicious, and so I approached cautiously – not knowing if it would attack me, or if it wouldn’t move in the dark. Luckily the latter was the case and so I decided to break out my camera. Trying to get good photos in the dark is not that easy and I wish the images would have turned out better. At any rate – you can see this magnificent bird. It was actually a bit smaller than I would have thought it would be. After putting the camera away and skirting around the Hawk, I kept heading down the ravine, having to step around some pools of water. Eventually I came up to my camera and changed out the SD Card. Then eventually worked my way down into the open terrain and was able to find my vehicle without any trouble. I walked a total of 3.69 miles – much of it through scrub oak (not fun). 1 hour 44 minutes walking time – I really need to get better hiking boots. 1 hour 21 minutes stopped time – Including stopping for breathers, cameras and eating a quick bite. So my 2 hour trip turned into almost a four hour round trip and I made it home safely – just some aching feet and legs. And I really need to get a better pair of hiking boots. And the moral of this story is to make sure you have your GPS data backed up on your computer and if you get to your starting point and don’t have the data you need – it might save time to go back to the house and reload the data back onto your GPS before leaving on your hike. More cameras mean more images/videos. For the money I could spend on 1 $250 camera, I could purchase four less expensive models. This does a few things. First it obviously allows me to place more cameras, thereby covering more trails or areas at the same time. More cameras mean more images/videos. It also allows me to set up to monitor a specific watering hole or trail. I can place more cameras in strategic locations around an area and because all of the cameras are placed and monitoring at the same time, I can pin-point which trails are used more frequently, and at what times during the day or night. Damage/Theft. Let’s face it. If there is any one thing I have learned in my life is that if you own something, somebody else also wants to own it. Trail Cameras are no exception. While most people are honest and respect others, there are some who blatantly disregard the hard work others put into improving their lives and will stop at nothing to obtain something without having to pay for it themselves. And unfortunately owning and placing trail cameras may come at the expense of somebody stealing or damaging them. So, if I am going to have a camera stolen or damaged by some low life, it only makes sense to lose a less expensive camera than a more expensive one. Just my opinion. Higher quality images/videos. Let’s face it. Most people would rather watch video in a higher quality format than lower, grainy video. It just makes it more pleasant and eye appealing. More features. Just like anything else, the more money you pay for a trail camera, the more features you will have. And there are some really cool features available on the higher end cameras. It all comes down to personal preference. My preference is to be able to get more video/images while at the same time reducing the burden I would feel to losing a camera to theft/damage. Be sure to navigate the menus and sub-menus above, so as to not miss any videos or images on the site. And keep in mind that we are constantly adding new videos at-least a few times each week. We have more videos right now than we have time to update – so be sure to check back often! Thank you for visiting Trail Cam Adventures. We will be collecting all kinds of videos and photos of wildlife, mainly in the Western United States. 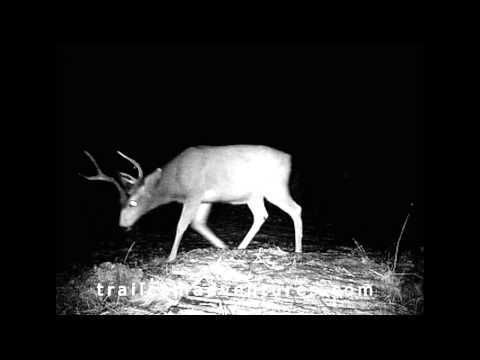 Much of what we will post on this site is video and/or photos from our very own trail cams. 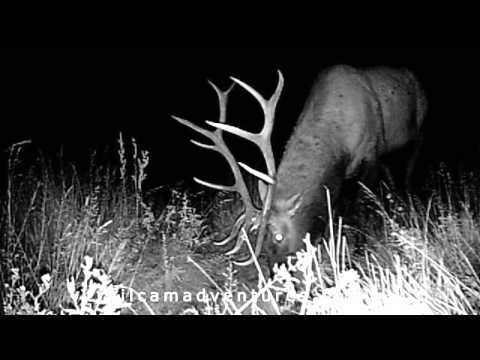 We are fortunate to be located in the Rocky Mountain area and have all kinds of desired wildlife available to photograph – both live and via trail cams. We hope you enjoy what we have to offer. Visit us frequently as we are committed to add more videos and photos often! 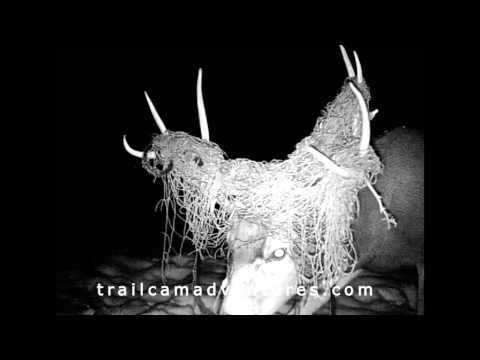 At 06 seconds in the video, you can see the moment the Bull notices that Infrared on the trail camera.